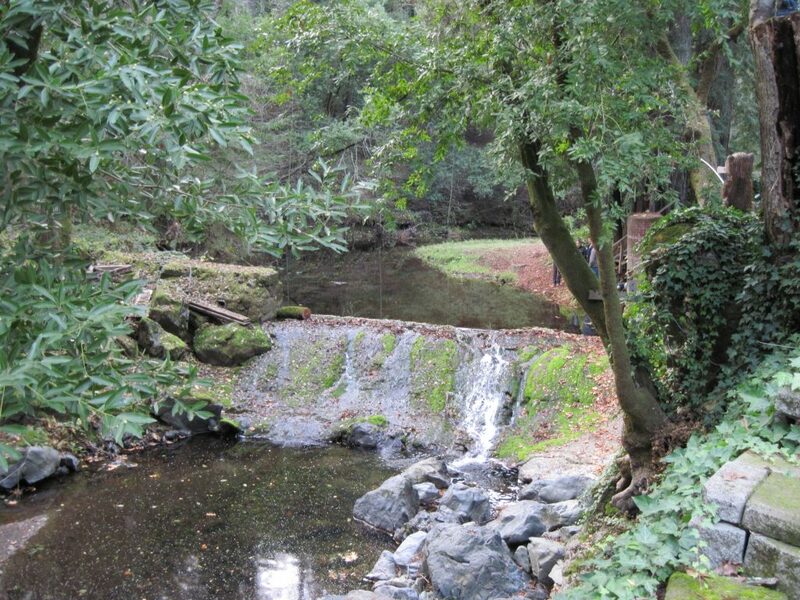 Mill Creek Dam Fish Passage | Prunuske Chatham, Inc.
Mill Creek is a major tributary to the Russian River and harbors some of the best habitat for coho salmon and steelhead trout in the watershed. Fish access to 11.2 miles of excellent spawning and rearing habitat was severely blocked for decades by a 5-ft tall concrete flashboard dam that the National Marine Fisheries Service identified as “the highest priority barrier within the Russian River (coho) population for remediation.” Located in the backyard of several residential properties, the project required years of planning and negotiation with neighboring landowners. Side channel excavated into the hillside with a 3% grade for 100 ft.
A 6-8% grade, roughened boulder channel fill in mainstem to dam crest for 100 ft.
Dam elevation lowered 6 in. PCI, along with NOAA and CDFW, has conducted post-construction monitoring to evaluate passage conditions at a range of flows. 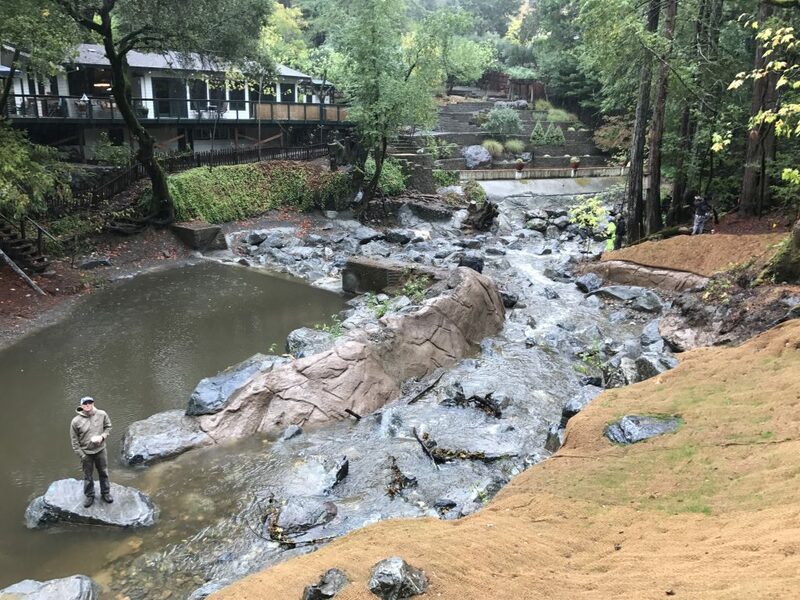 UC Cooperative Extension and California Sea Grant continue to monitor salmonid use, and documented coho salmon spawning above the former barrier two months after work was completed. The American Society of Civil Engineers presented the project team with a special Honorable Mention for the Distinguished Project Award at the 2017 International Conference on Engineering and Ecohydrology for Fish Passage.